Students will be able to identify the four life stages of a butterfly. 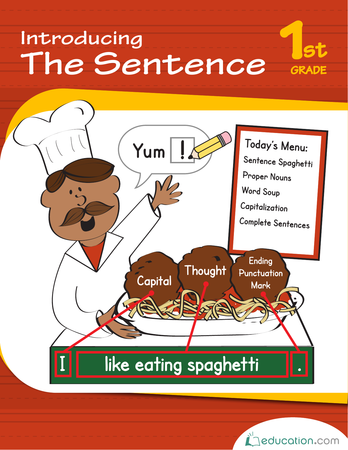 Students will be able to ask and answer questions to help determine or clarify the meaning of words in a text. Explain to the students that they will be listening to the story The Very Hungry Caterpillar by Eric Carle. Show the students the cover of the book. Ask the students what they think the book will be about by looking at the illustration on the cover and reading the title. Call on a few students to offer their ideas. Explain to the students that while you are reading, they should listen for the following words: butterfly, chrysalis, eggs, and caterpillar. Have them consider how these words relate to the story and the very hungry caterpillar. Explain that a butterfly is a winged insect. The butterfly starts as an egg and then hatches to be a caterpillar, which looks like a worm that will eventually grow into a butterfly. The caterpillar turns into a chrysalis, which is like a small protective house. Write the vocabulary words on the board (butterfly, chrysalis, and caterpillar). Explain to the students that you also want them to think about what happens in the beginning of the story, the middle of the story, and the end of the story. Read The Very Hungry Caterpillar aloud. When you hear the words you wrote on the board (caterpillar, chrysalis, eggs, butterfly), pause and ask your students what they think the words mean. Invite students to share their ideas with a partner. When you get to the word cocoon, explain to the students that this word is similar to the word chrysalis. Pause and discuss pictures and what the pictures are showing the students. Invite students to discuss how the pictures help them understand the word meanings. Ask the students to explain, or retell, what happened in the beginning, the middle, and the end of the book. Next, point to the words on the board. 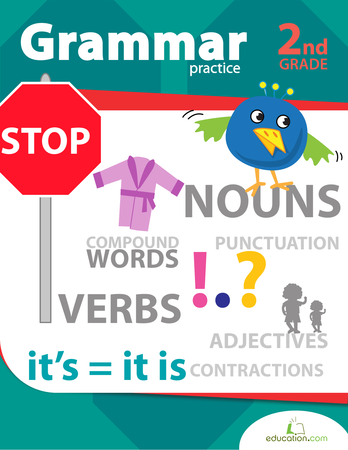 Ask the students to stand up if they heard you read any of the words that were on the board. Explain to the students that the words on the board are the four stages of a butterfly’s life cycle. Ask for a volunteer to come up to the board and put the life cycle stages in order from 1-4 (1 is the first stage and 4 is the last). Have the students write the numbers next to the words. Ask the students to share their connections about butterflies, the butterfly life cycle, and any of the stages that they’ve seen in nature. Explain to the students that they will get to illustrate the butterfly life cycle on their own. Pass out coloring materials, pencils, and the Butterfly Life Cycle worksheets. Read the directions to the students, and read the caption in each box. Refer to the bottom of the sheet that gives a drawing tutorial for students to use. Instruct the students to begin illustrating their life cycle. 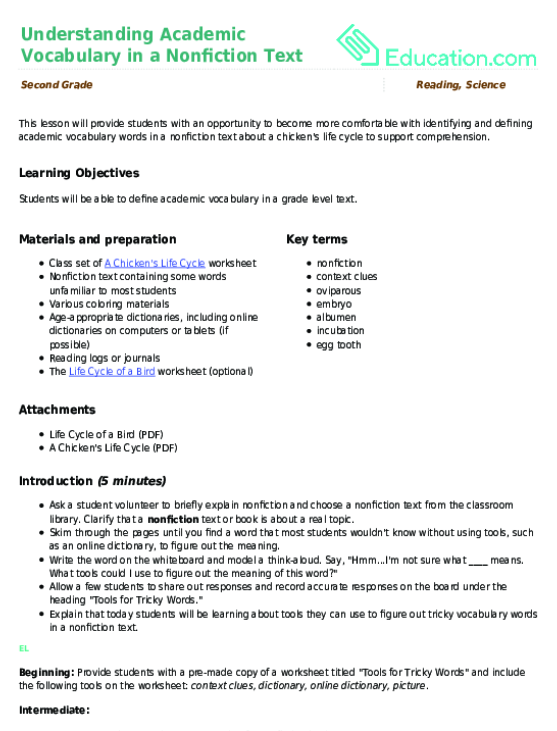 Enrichment: Instruct students to retell the life cycle of the butterfly in their own words on the back of the paper. Support: Provide a selection of other age appropriate books life cycles for students to look through. 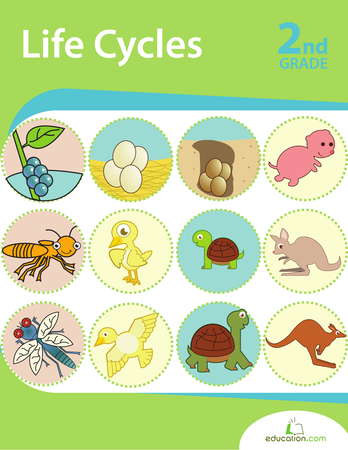 This will support students in generalizing their knowledge of life cycles to other living things. 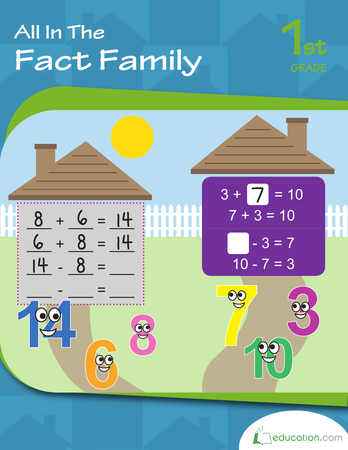 Have your students draw the pictures and cut them out, and have a partner order the stages for them. Rotate during independent work time. 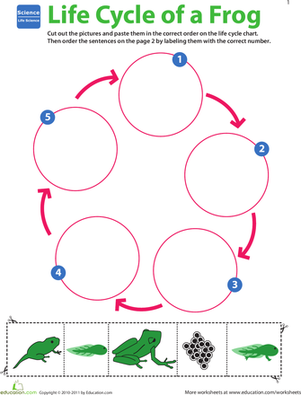 Check to make sure that the students are organizing the life cycle stages in order. 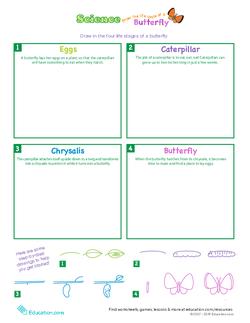 Invite students to come up with movements or a song to summarize the butterfly life cycle using the words they learned (caterpillar, chrysalis, eggs, and butterfly). Pick one of the movements, and practice as a class. Challenge students to turn and talk to a partner, explaining the meaning of one of the words they learned today during the lesson. In this lesson, you will use “The Very Hungry Caterpillar” to teach students about the butterfly life cycle. cycle of a chicken in the process! See the cycle of a plant from its birth to adulthood, and read a bit about photosynthesis too. 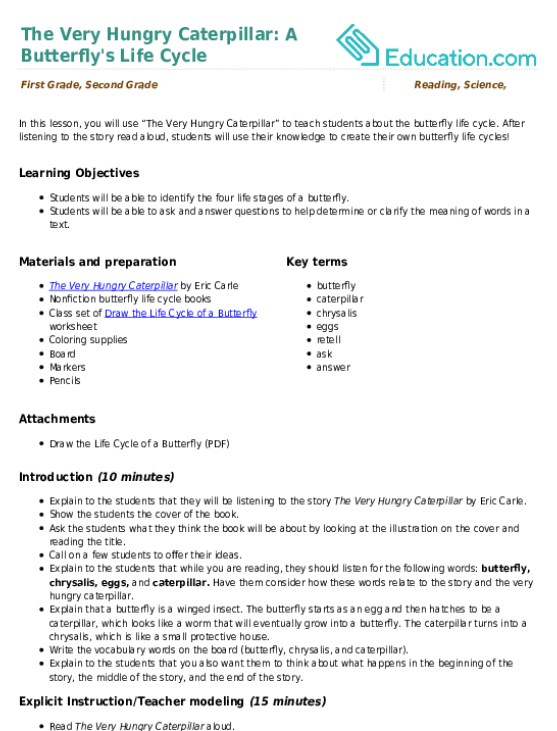 Your students will work together to find new vocabulary words and create a short summary of a nonfiction text related to the butterfly life cycle. In this life science packet kids will cut and paste various forms of insects, mammals and more, learning the similarities and differences of living things during stages of life. They will read about the water cycle and note the steps in order that they occur.